Whether your goal is playing a round of golf on our historic links-style golf course or enjoying a magnificent event at our elegant banquet facility, our goal is simply to create a memory that will last a lifetime. 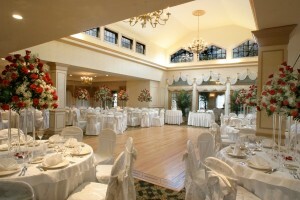 We take pride in being one of the premier banquet and catering facilities in New Jersey. We cater to all types of events from 50-200 people, including Sweet 16 parties, bridal/baby showers, communions, birthday parties, graduations, and golf outings. We emphasize individual attention, great food, and friendly service. Let us help make your next function memorable at the Lakewood Country Club.